James Cameron’s Avatar is the highest grossing film of all time. Upon it’s release in 2009, I – being only thirteen years old – was taken back and astounded by the creativity and spectacular visual effects that the film displayed. Personally, Avatar wasn’t just another science fiction film that was propped up by it’s huge budget and renowned casting choices. Rather, I truly believed it to be an analogy that mimicked our own world – Earth. Political and cultural issues aside, the sumptuous and lush terrain, flora, and wildlife, gave me a thirst to travel and discover exotic destinations, not dissimilar to the planet of Pandora. Zhangjiajie’s scenery as depicted in James Cameron’s Avatar. Eerily omniscient, a little over nine years later I would be visiting the inspiration for the famed floating mountains of Avatar. Surprisingly fresh after a six hour sleep on a train overnight, we took a rickety mini bus from Zhangjiajie city to Wulingyuan – the gateway to the Avatar Mountains. Using every scrap of our knowledge of the Chinese language, as well as help from some friendly locals, we stumbled upon the ticket office where we were all too happy to part with our money in exchange for the chance to see the famed mountains. One could sense the excitement and anticipation building around the area. Young or old, few were exempt from feelings of adventure and wonderment. Menna and I were not exceptions; we both had fond memories of Avatar. We’d even decided to watch the film a week prior to reignite feelings of nostalgia and hype for the trip. The vast landscape of quartz-sandstone pillars in Zhangjiajie. Desperate to avoid the swathes of tour groups that had become the bane of many of our trips, we took a slightly different route that gifted us calmness and head-space. Sacrificing the “recommended route” in favour of a more unorthodox one, is something we both recommend. Moreover, you may often be surprised by unexpected visual gems you discover by taking the beaten path; monkeys in our case. It was a wonderful and special moment to see a monkey in the wild. In England, we only only ever see them in zoo’s behind a glass window or cage. To see one in Zhangjiajie, so wild, so free, so unchained; is a memory I’ll always cherish. All the words in the world would not do the Avatar Mountains justice. As such, check out the photos we took during our visit. 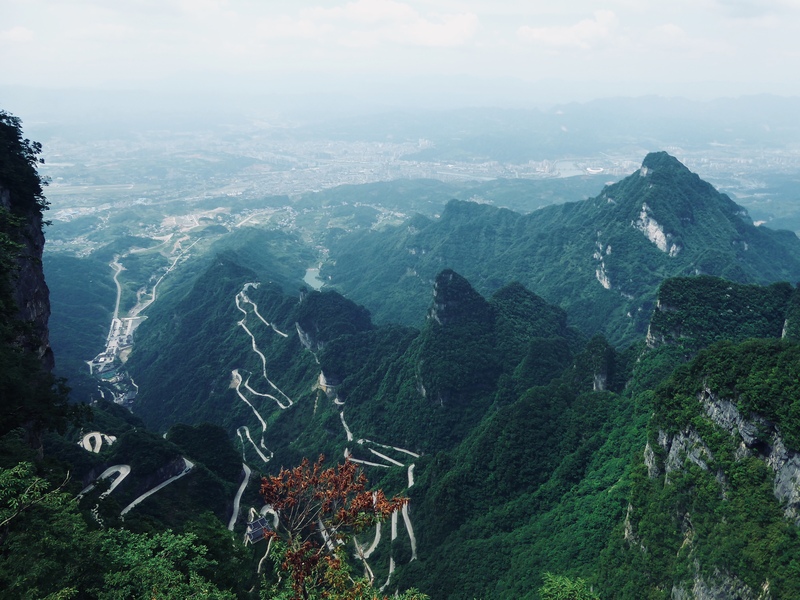 We’ve also provided our itinerary for a visit to Zhangjiajie. 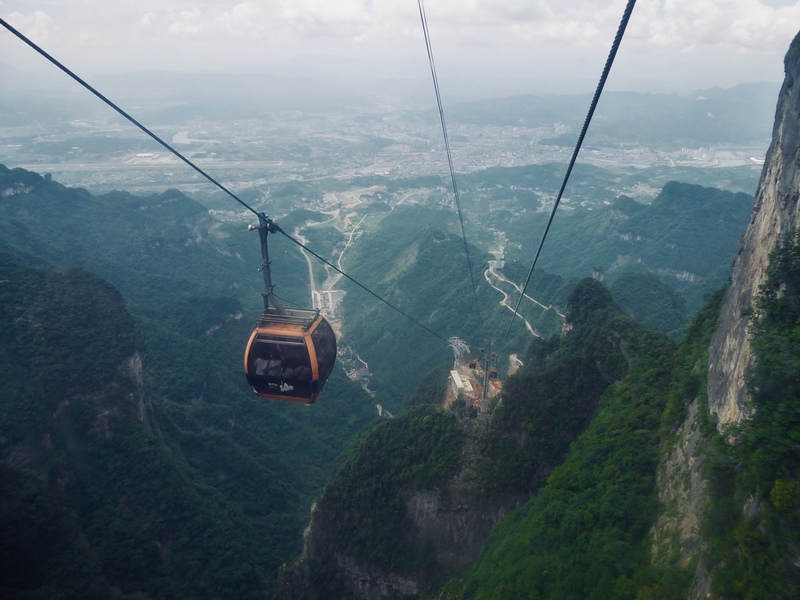 The beauty of the Avatar Mountains proves all the more apparent when other notable sights in the city of Zhangjiajie, including a journey on the world’s longest cable car and the famous 99 bend road, are dwarfed in comparison to the Avatar Mountains. Jaw dropping and gut wrenching. That is not to say that we were disappointed with the experiences just mentioned. Rather, we were just overwhelmed by the awesomeness of the floating mountains, certainly not a sight to miss. Previous post5 Reasons to Teach Abroad. Next postGraduation – One Year Later. It sounds absolutely magical and unforgettable,Joel and Menna…an adventure that you will revisit in your minds forever.